Home » » Who will be Neville's Englishwomen abroad? Who will be Neville's Englishwomen abroad? New England boss Phil Neville has already attended Women's Super League games at Widnes and Wycombe, but Munich and Melbourne may soon need adding to his list of scouting destinations. That's because there are now at least 17 senior players who are eligible for the women's national team playing abroad. 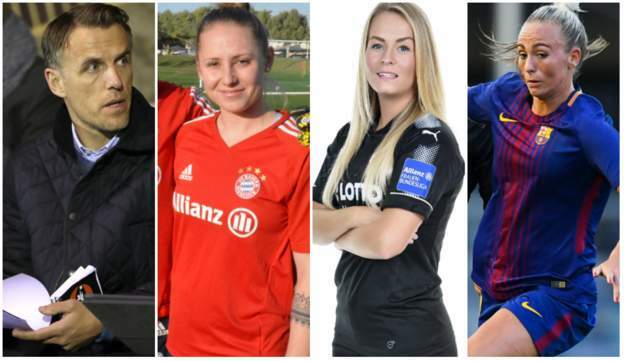 In this piece BBC Sport speaks to three players who are at some of Europe's biggest clubs to find out why more and more budding Lionesses are opting to move overseas.